Worried you'll be bored on New Year's day with only six bowl games to watch? Or are you trying to figure out a way to avoid them all? Either way, we've got a solution for you, a live puzzle event on the Internet, where you can get a custom puzzle created just for you. 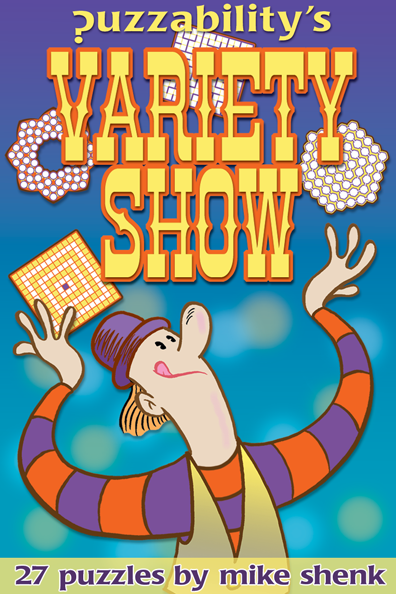 On New Year's Day, from 11:00 AM - 5:00 PM Pacific Time, Puzzazz is doing something special — a live puzzle construction event. Simply put, we're going to create custom puzzles for anybody who wants one in real time, with people contacting us through Facebook and Twitter. You'll be able to ask us for a puzzle with a specific answer (subject to approval) and we'll make a puzzle just for you. 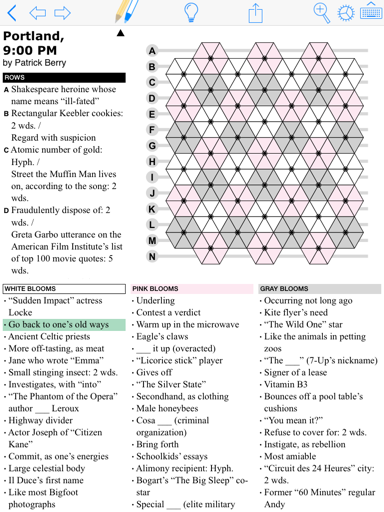 Puzzles will vary in type and style, depending on subject and how many requests we get. Plus, we'll have a few guest constructors. We'll post full details on New Year's Eve, at http://www.puzzazz.com/puzzles-live. 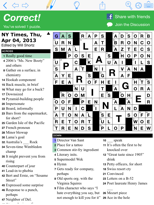 Saturday, the big news yesterday was the 100th anniversary of the first crossword puzzle by Arthur Wynne; today, the big news is the future of puzzles for the next 100 years. 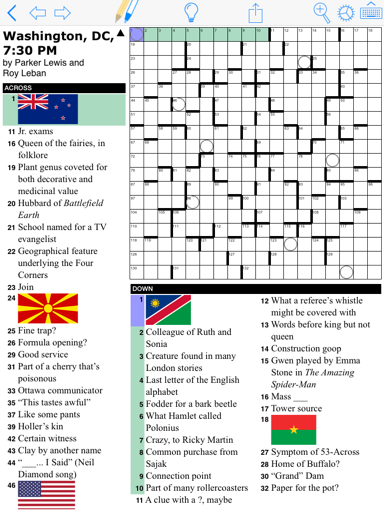 Looking back, we just released the Crossword Centenary Compendium, otherwise known as the definitive roundup of puzzles, articles, videos, and more from the Crossword's 100th anniversary. 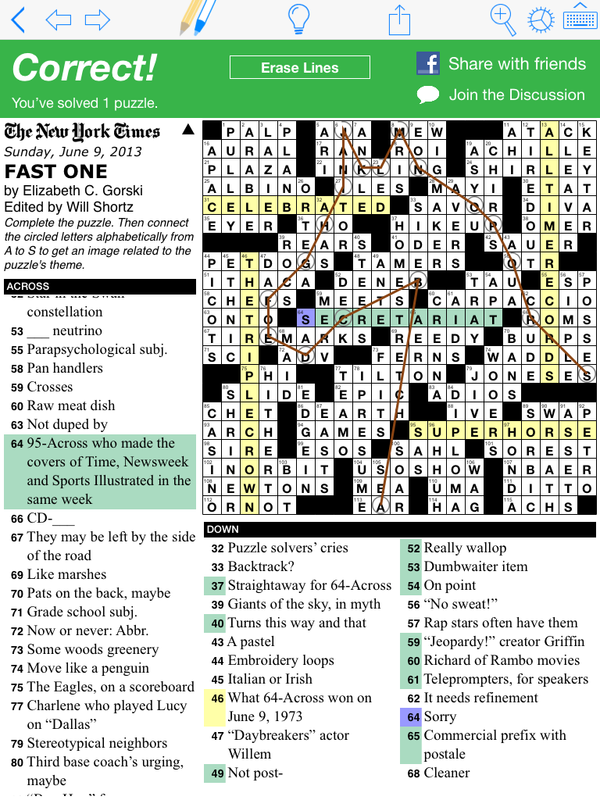 Looking forward, we're increasing our lead in providing the best way to solve puzzles in the digital world (we're still the only app, on any digital platform, where you can solve the print edition of the daily NYT crossword), and we've just released a wonderful book of Connect-the-Dots Crosswords from Elizabeth C. Gorski. 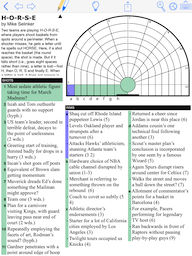 We've posted a few anniversary puzzles on our site by permission of the authors. 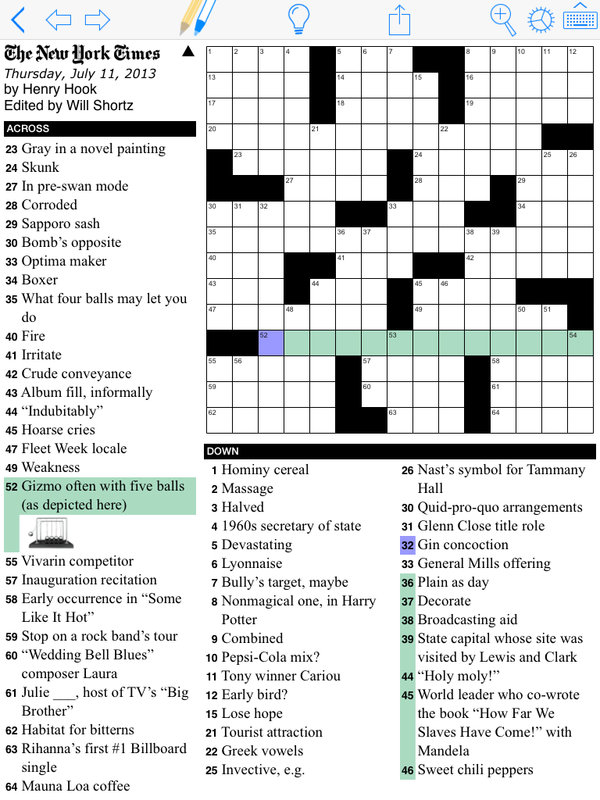 In the puzzles by Roy Leban and Parker Lewis of Puzzazz, plus those by Ed Sessa and Joe Krozel, you'll see four very different takes on the same idea, and check out the New York Times December 21st puzzle by Todd Gross and David Steinberg for another take (if you have a Premium Crosswords subscription from the NYT, you can solve their puzzle in Puzzazz by clicking here). 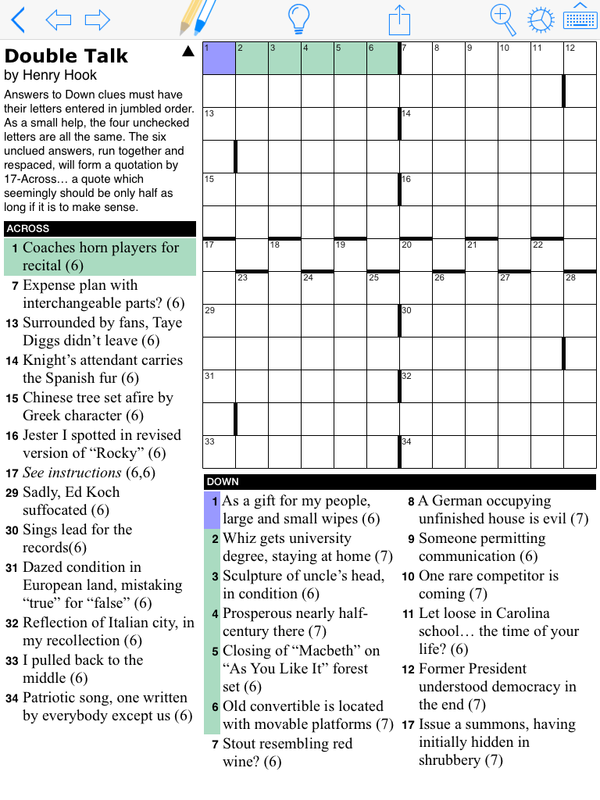 We've also posted puzzles by John J. Bulten and Finn Vigeland, plus we have links to plenty of other anniversary puzzles. There's an amazing number of links to articles, videos, and interviews, and information on some great centennial books. 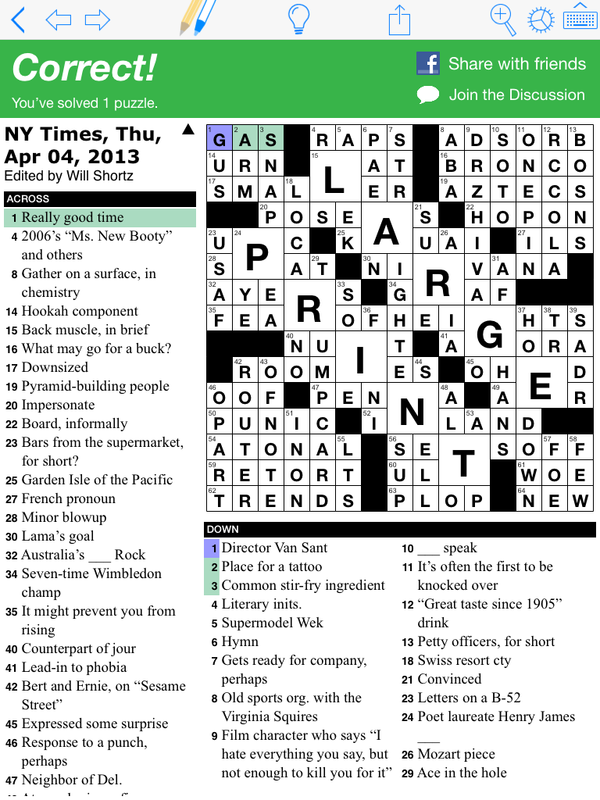 And, oh yeah, a poem by Matt Jones of Jonesin' Crosswords. 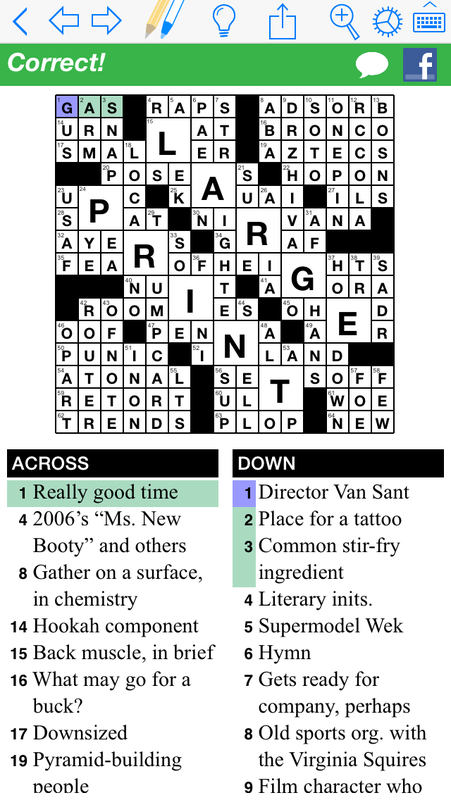 Elizabeth C. Gorski's Connect-the-Dots Crosswords is a fun collection of 10 new Sunday-size crosswords with an extra element, a connect-the-dots puzzle after you've filled it in. See if you can guess what it is before you reveal it. And, if that's not quite enough, you'll find the connecting lines float above the grid just a little bit for a really nice effect. 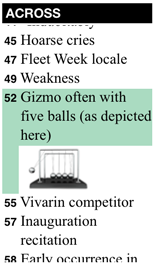 You'll find Connect-the-Dots Crosswords in the Featured Books section in Puzzazz. 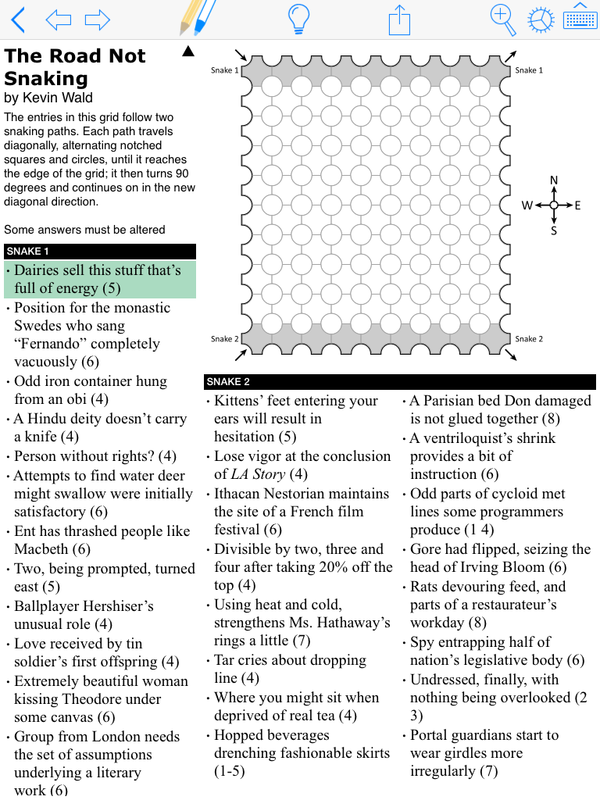 We'll be marking the New Year with a few more books and the next installment in our Year of Puzzles. I’m happy to say we’ve released a major upgrade to Puzzazz today, a new release designed to fit in perfectly with iOS 7. The highlights include a new look, improved performance, and more ways to find puzzles. Even the icon has been updated, and I think the new icon is a perfect synthesis between the Puzzazz aesthetic and Apple’s new design philosophy. Since the beginning, Puzzazz’s puzzle solving experience has been, literally, all about the puzzles. 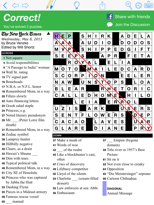 When you were solving a puzzle, the screen was filled with a clean view of the puzzle and nothing else -- no fake torn paper edges, snippets of unreadable articles from a fake newspaper, or a keyboard that looked like an old typewriter. In short, nothing to distract you from the puzzle itself. Our customers have loved it. In redesigning for iOS 7, we’ve gone all in -- we've taken the beautiful, content-first design of our puzzle-solving experience and extended it to the rest of the app, making it easier and more natural to use. As we've been saying around the office, we tossed the wooden bookshelf on the bonfire. The new browsing interface fits iOS 7 perfectly while also working well on iOS 5 and 6. While we've streamlined browsing, giving you quicker access to your content, and more ways to find it, including improved author pages, the essence of what has made our customers happy hasn't changed. 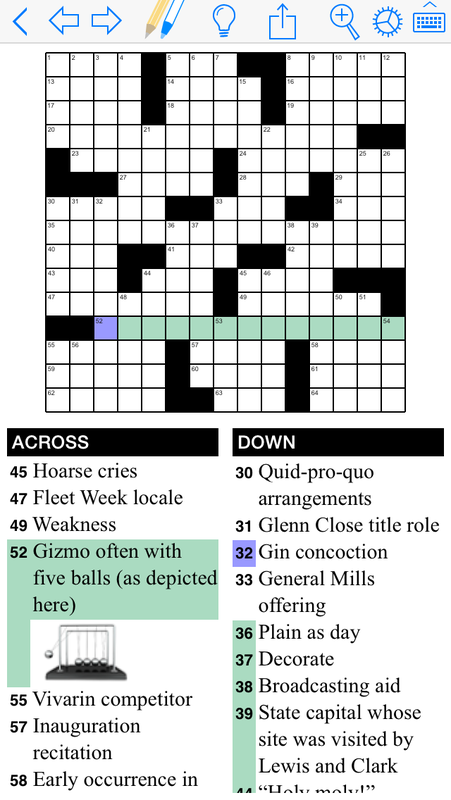 Puzzazz is still the only app available, on any platform, which provides a full fidelity solving experience for New York Times Premium Crosswords subscribers, presenting the print version of the puzzle every day without losing any elements of the puzzle, and at no additional charge. 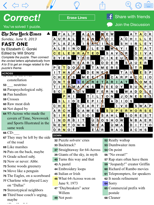 For some Times crossword puzzles, we can even deliver an experience that goes beyond what you find in print (solve the October 1st Times crossword for a great example). Our exclusive, award-winning TouchWrite™ handwriting recognition technology further enhances the experience, particularly on the smaller screen of the iPhone. And Puzzazz is loaded with features designed with solvers in mind, including clue highlighting and auto scrolling, intelligent cross-reference highlighting, clue notes, cell marking, full support for lefties, and multiple options for hinting. All in all, it's a fantastic update to the premier app for your puzzle fix. We hope you like it as much as we do. 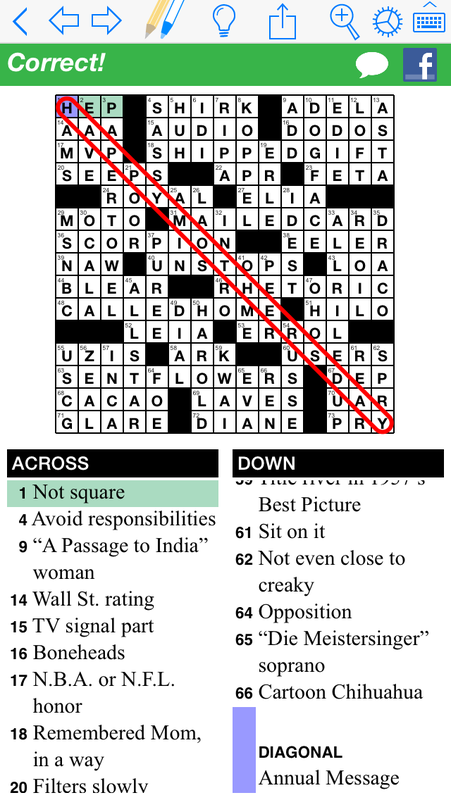 One of the best things about Puzzazz is that it's a full-fidelity puzzle solving experience. 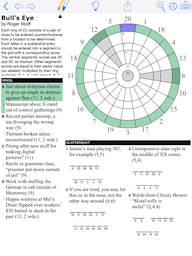 When we say this, we mean that there's nothing missing from the puzzles -- what you get is as good or better than what you get when you solve on paper, both in the puzzle and in how we let you solve. We've talked a lot about the latter half with our TouchWrite handwriting recognition and all of the other puzzle-friendly and puzzle-focused features. 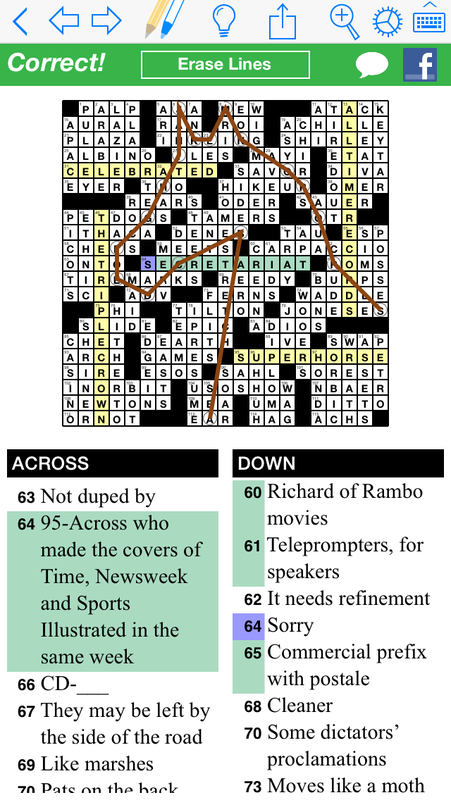 The July 10th New York Times puzzle (shown below on iPad and iPhone) is a great opportunity to talk about the other aspect -- the puzzle itself. "TouchWrite is cool but the best news here is that Puzzazz can handle all those strange and wonderful puzzle variations. 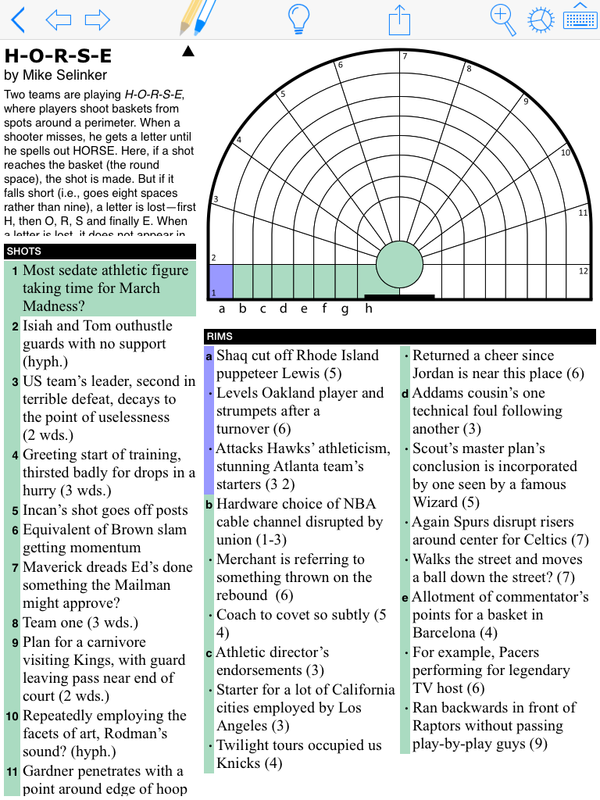 As more and more fans solve electronically, Will and the other editors face a dilemma. 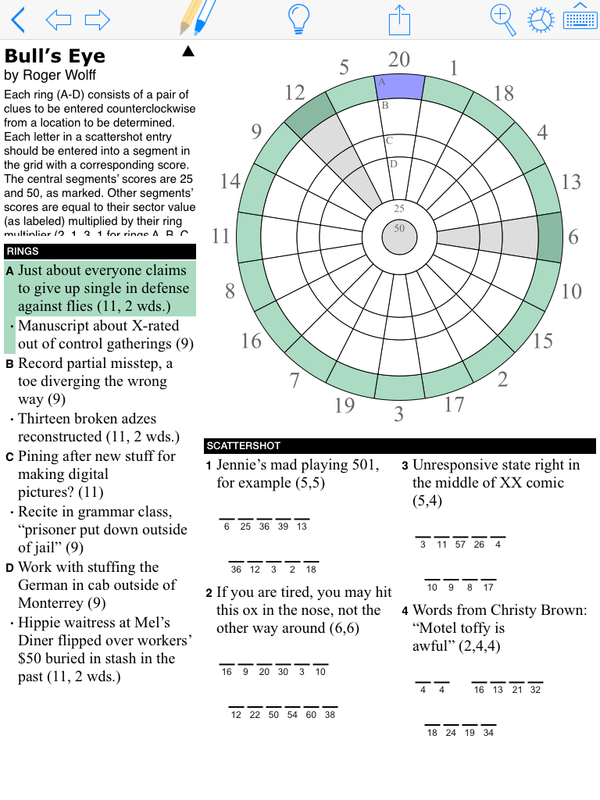 Every time a new non-standard variation appears, the blogs fill up with heated comments from frustrated users who feel ripped off, but editors don’t want to limit the endless creativity that free-form paper-solving allows. Puzzazz goes a long way to making everyone happy." I don't know about you, but I love innovations and twists as both a constructor and a solver. 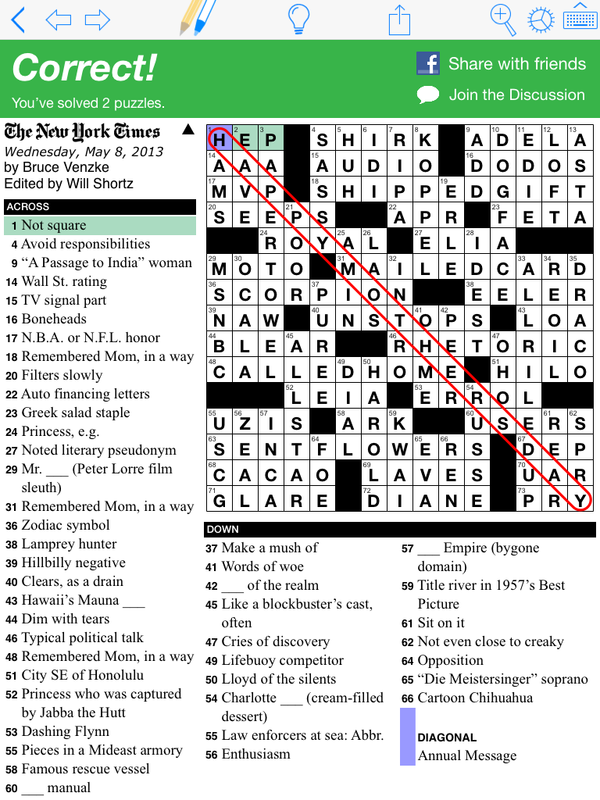 We've come a long way from the early days of crosswords (almost 100 years ago!) where every clue was a simple, straight definition. 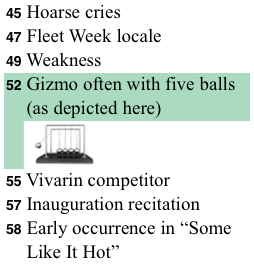 I'm not sure what made Will Shortz decide to include a picture in one of the clues of this puzzle, but I know it's fun. Everybody here at Puzzazz is proud to support whatever zigs and zags Will and his fellow editors are going to throw at us. We've been working hard to build the best way to buy and solve puzzles in the digital world, and we're proud to tell you that our TouchWrite handwriting recognition technology has been nominated for the GeekWire Innovation of the Year award. We'd greatly appreciate your vote. Over the last few years, we've spent a lot of time looking hard at how people solve puzzles and we've crafted our user experience around what we've learned. We like to say that we're not trying to replicate paper, but build an experience that feels as good as paper does, so that solvers are just solving puzzles rather than spending times working around our user interface. Our integrated TouchWrite handwriting recognition technology is an integral part of the experience, particularly on small devices like an iPhone. 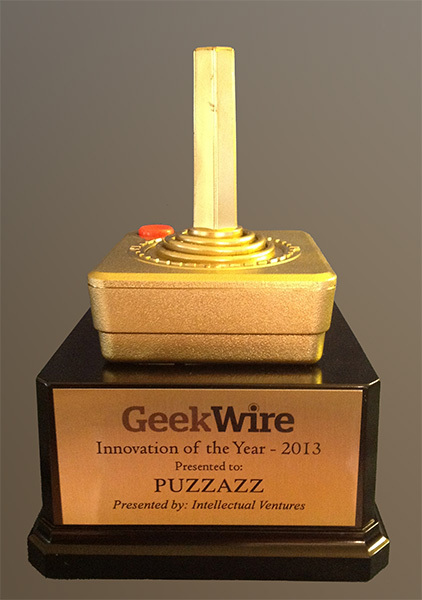 It feels great to have GeekWire and the Seattle tech community recognize this with this nomination. Update May 10th: We won! See here for details. 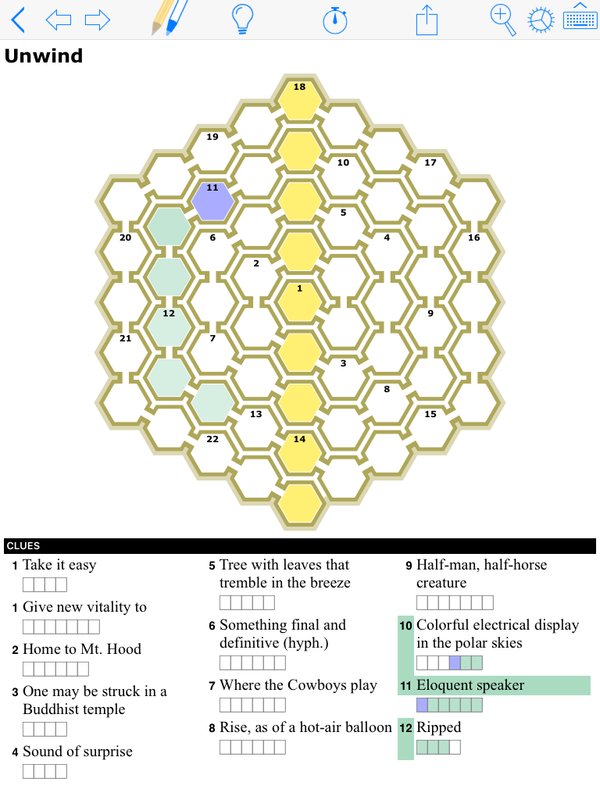 One of my favorite things is something called a puzzlehunt, a set of interconnected puzzles which combine to form a larger puzzle. But that’s just the tip of the proverbial iceberg. 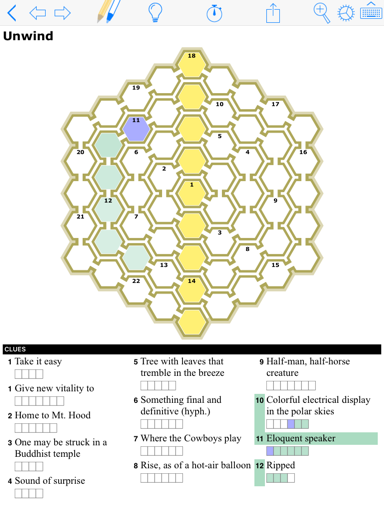 Puzzlehunts are filled with fun and unique puzzles, designed to challenge you just right to maximize your fun. Today, I’m excited to announce that Puzzazz is launching the Year of Puzzles, a year-long puzzlehunt filled with great puzzles by world-class constructors. 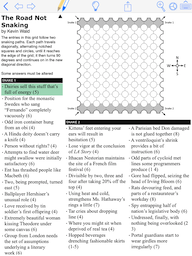 Each month during the Year of Puzzles, there will be new and unique puzzle, frequently of a type you’ve never seen before, intertwined with an interesting and surprising story which will unfold over the course of the year. 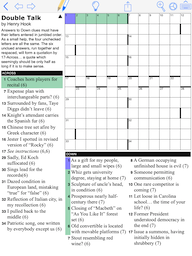 Like every book we sell, the first puzzle is free. It’s a unique double spiral by Parker Lewis. 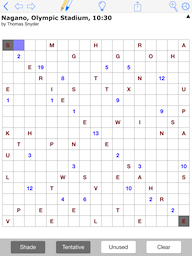 Check it out in the Puzzazz app or, if you prefer to solve on paper, there’s a PDF you can download. You might wonder how the Year of Puzzles fits into Puzzazz’s mission. We’ve already built the best way to buy and solve puzzles in the digital world, through the Puzzazz app available for iPad and iPhone (and other devices in the future). But our larger mission is to build up the world of puzzles in a way that benefits all of us, including puzzle solvers, puzzle authors, and puzzle companies like Puzzazz. We’re doing this by creating the best and easiest to use interface, including our exclusive TouchWrite handwriting recognition technology, and by supporting a huge range of puzzles. 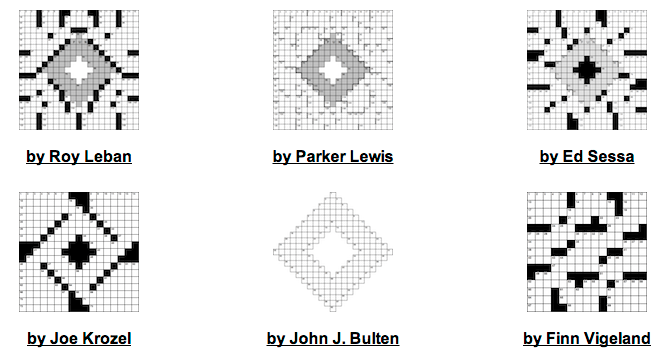 Whatever type of puzzles you like to solve, you can find them here. Puzzazz is the only app, on any platform, which supports the kickoff double spiral puzzle or the Rows Garden puzzle by Patrick Berry which will be up next. And you’ll see much more in the coming year.